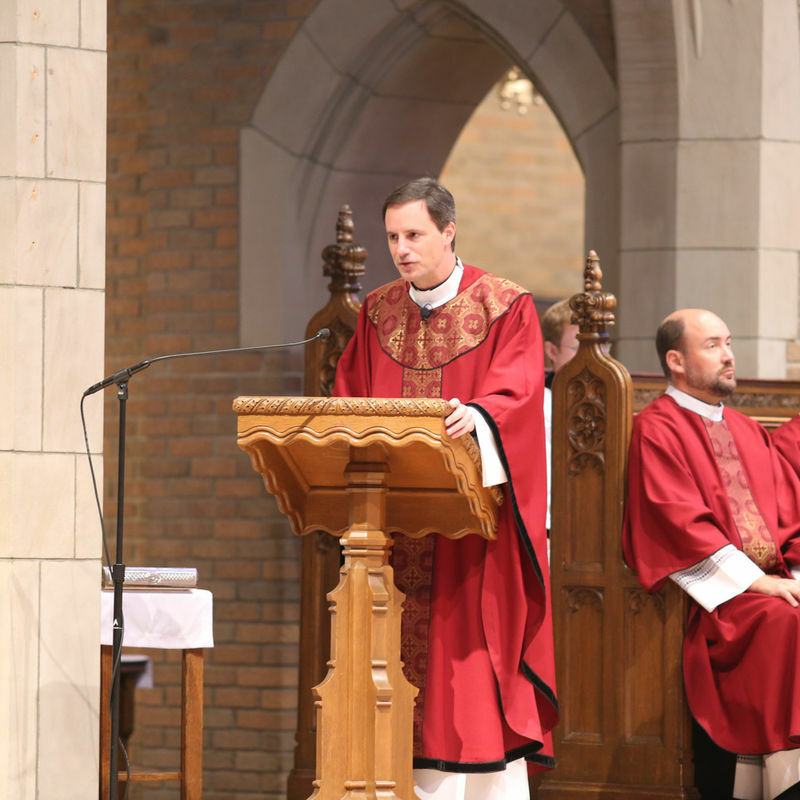 Mass of the Holy Spirit marks opening of new academic year. 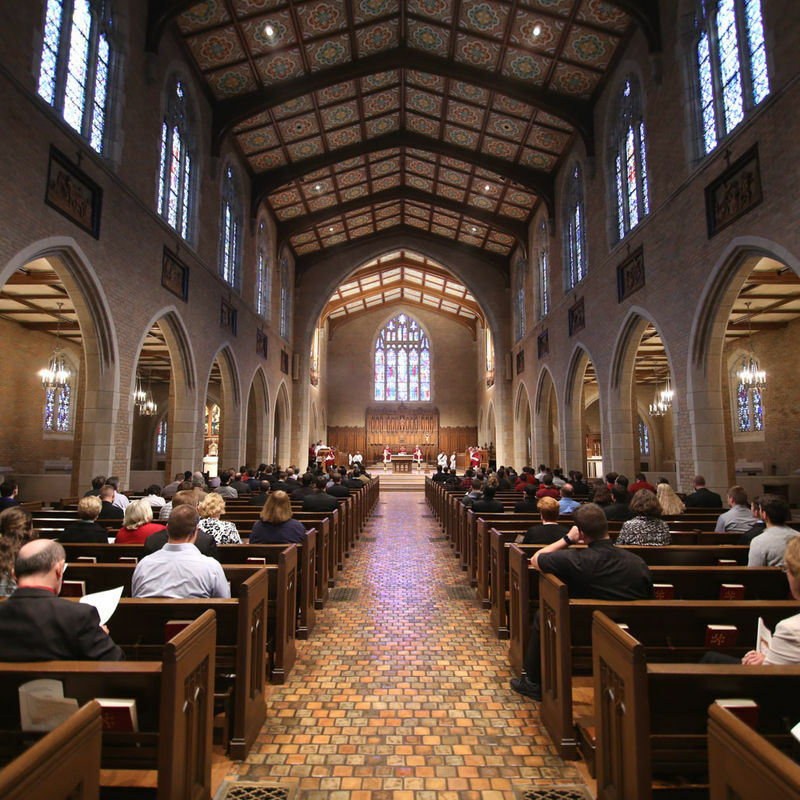 The Sacred Heart community celebrates the opening of a new academic year with the annual Mass of the Holy Spirit. During Mass, Sacred Heart’s rector, Msgr. 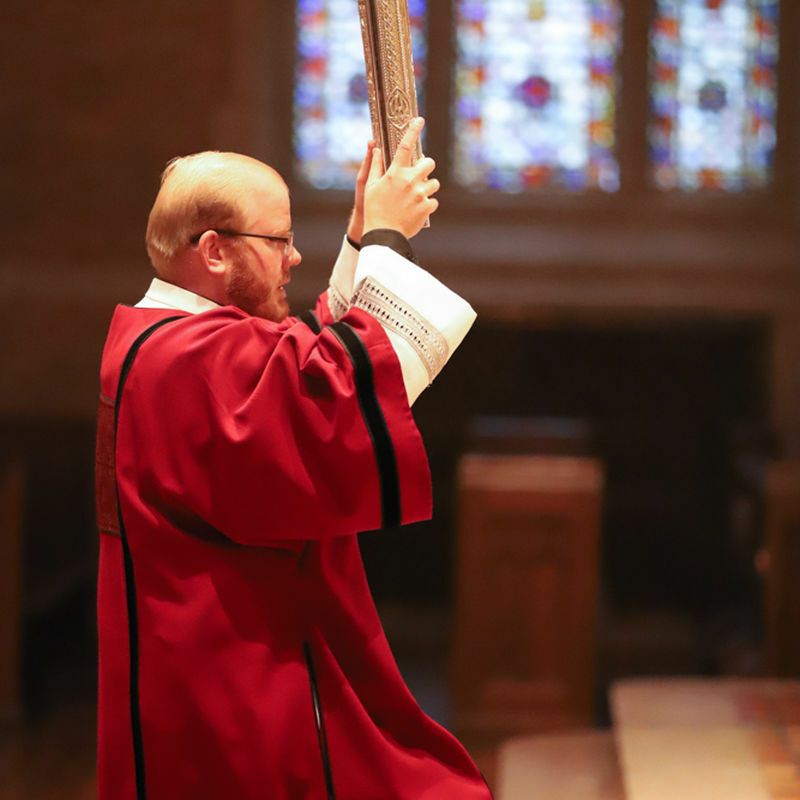 Todd Lajiness, calls upon the Holy Spirit to bless the student body, bless the faculty and staff, and bless the seminary’s endeavors of the coming school year. 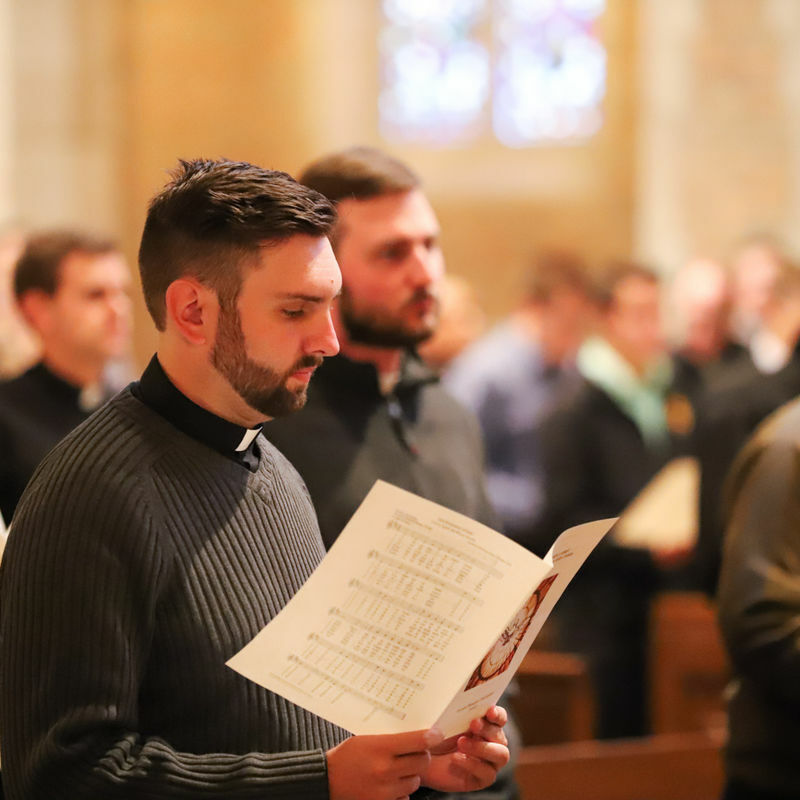 The congregation witnessed a moving and important ritual during the Mass of the Holy Spirit. Dean of Studies Fr. 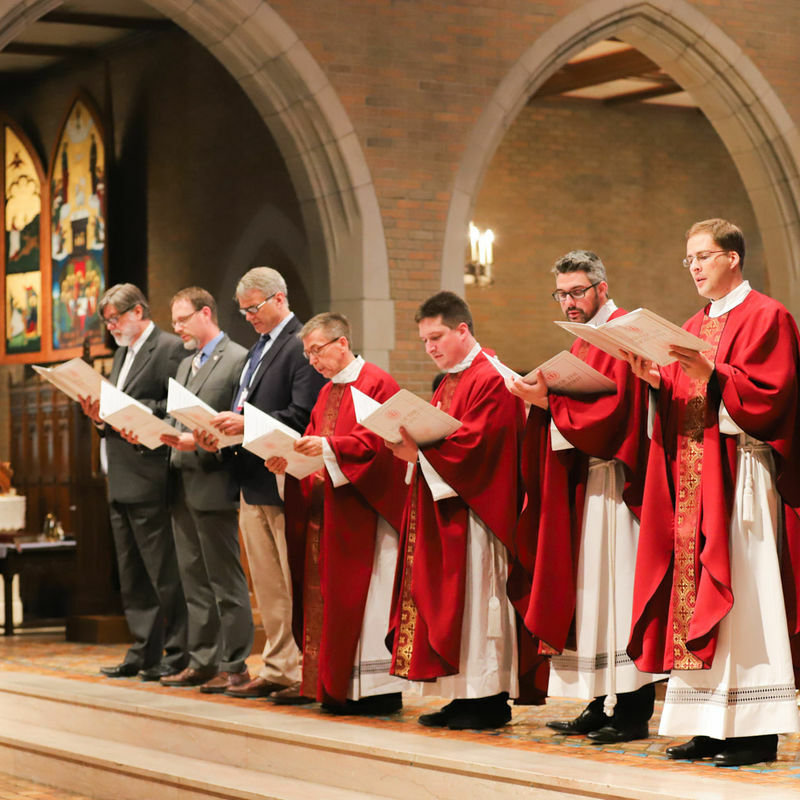 Timothy Laboe called new faculty members by name to approach the altar. Msgr. Lajiness placed before them the book of the Gospels. 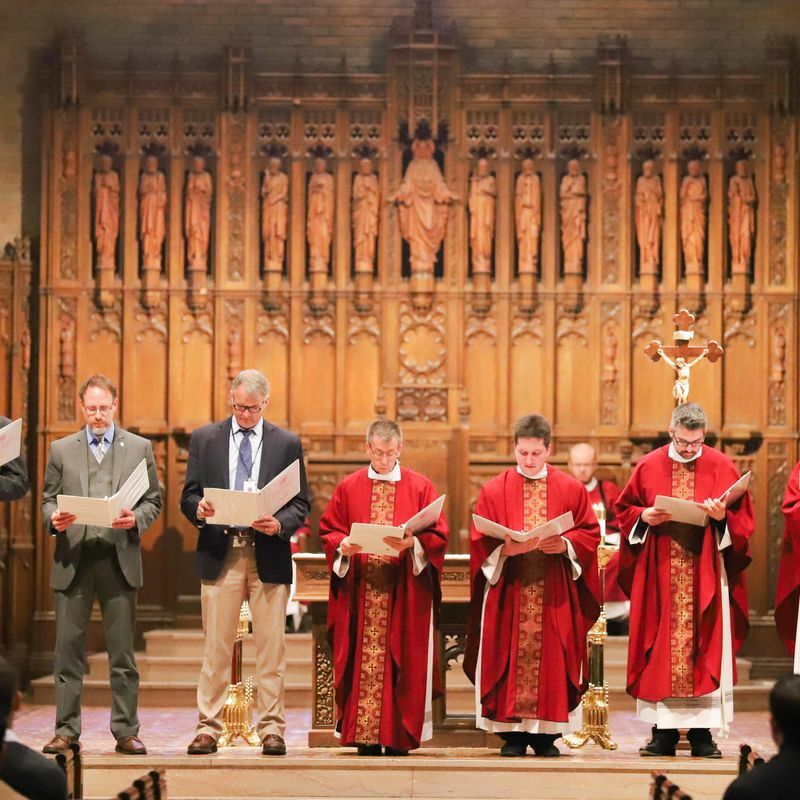 Laying a hand upon the book, each faculty member, full-time and part-time, recited a Profession of Faith and the Oath of Fidelity. 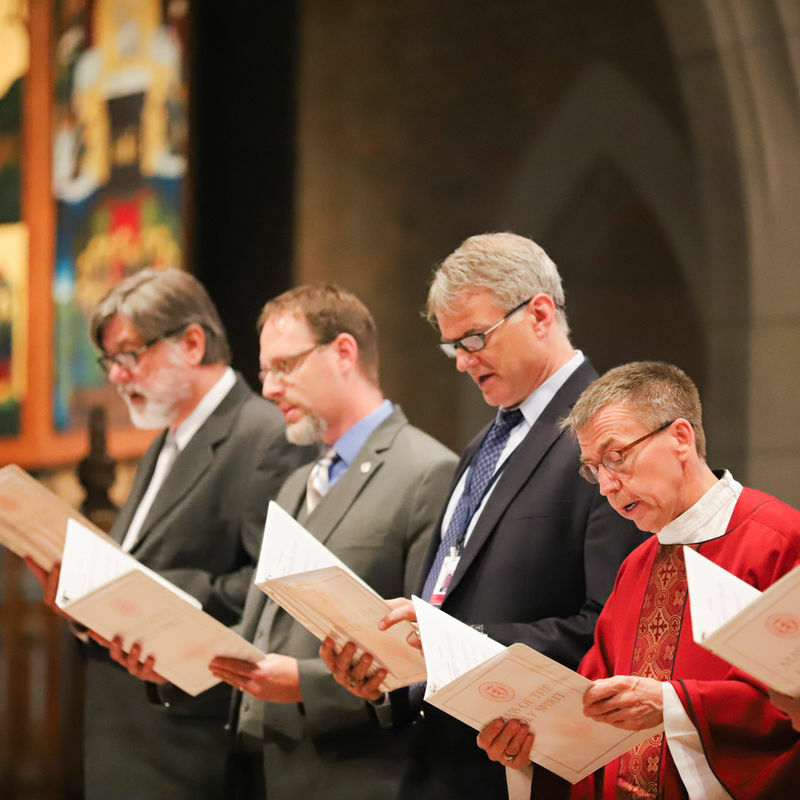 During the Profession of Faith, faculty members recite the Nicene Creed. Following the profession is the Oath of Fidelity. It is taken to ensure that those who teach Catholic doctrine on faith and morals profess adherence to the teaching authority of the Church. 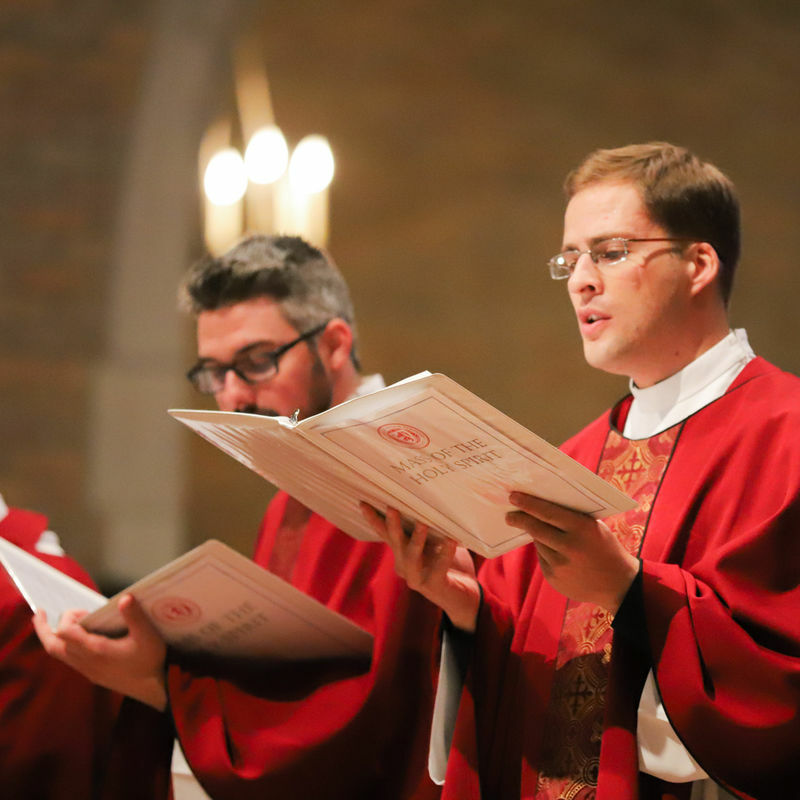 Making the Profession of Faith and Oath of Fidelity this year were Dr. Matthew Gerlach, Dr. Timothy Hogan, Fr. Brian Meldrum, Fr. Ronald Richards, Fr. Bryan Shackett, Dr. David Twellman and Fr. Pieter van Rooyen.